Congratulations to all students for the way in which they have applied themselves to their learning during Term 1. Andrews Cup Swimming, Touch and Tennis teams have competed this term producing outstanding results. Thank you to the students, staff and parents involved for your time and dedication. 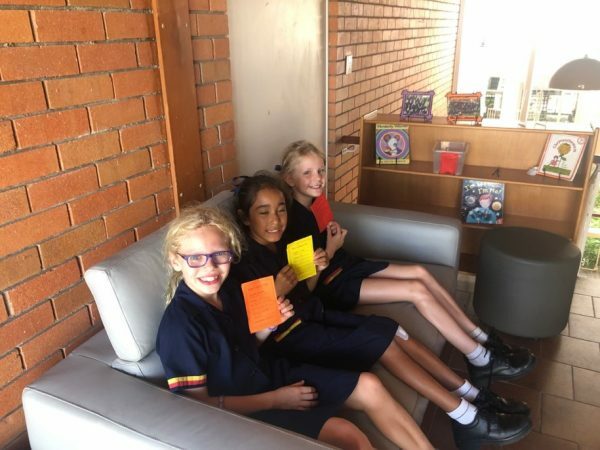 Click here to read the Junior School Sports News for Term 1. It has been another busy term in our Junior School Library! Click here to read the new edition of Lately in the Library. 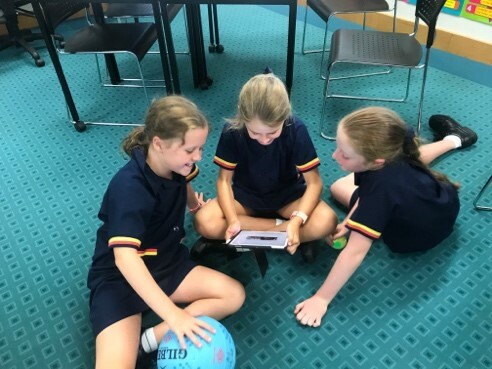 In this edition, our Student Learning Leaders share learning stories from Prep – Year 6. 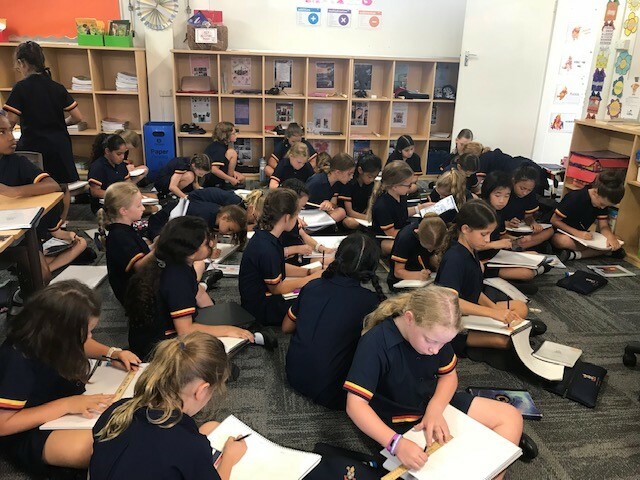 A wonderful time of growth and learning has been had as the girls (and parents) have settled into the daily routines of Prep and school life. They have been inspired to embrace their differences and uniqueness; encouraged to develop their gifts and talents; and allowed to make mistakes in a safe learning environment to promote growth. In the words of Maya Angelou, “I’ve learned that people will forget what you said, people will forget what you did, but people will never forget how you made them feel”. 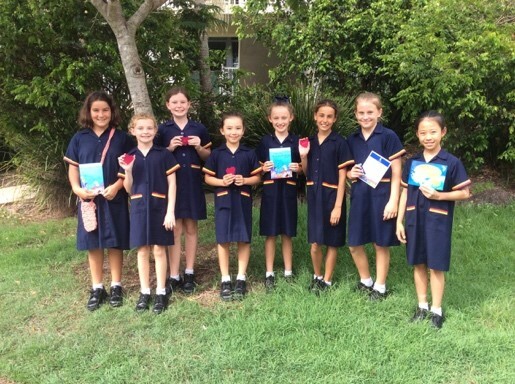 The girls have started their educational journey knowing they are valued and included in our St Hilda’s community. 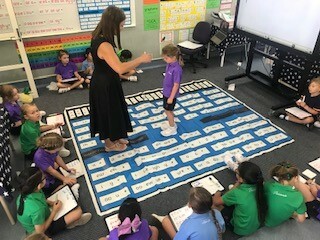 Prep has focused on oral language and phonemic awareness to build a solid foundation for literacy, drawing on the expertise of speech pathologist Lyndal Mayhew and then focusing on each child’s further development of these vital skills. 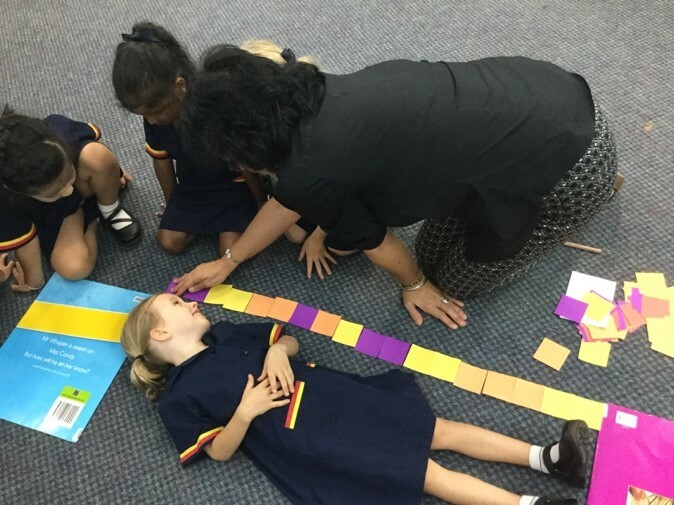 “Hands on” engaging Maths activities helped cater for all levels of ability and promote problem solving. 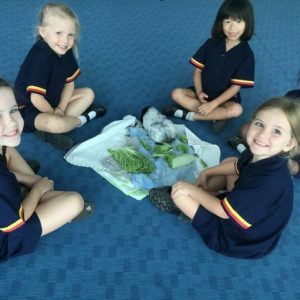 GROW has become part of the daily language in Prep. The girls are responding well to what they are learning. “We are owning our actions. The ‘O’ in Grow!” Our feelings have been highlighted this term, introducing the Kimochis characters. Lovey Dove models the feelings that are vital to get along with others. The girls are exploring forgiveness and grace through the Kimochis character Cat who knows how to mend broken relationships. Learning about compassion for others, including caring for animals, was investigated with a visit from the Animal Welfare League. Every girl has shown tremendous growth this term and we are proud of their achievements so far. Our Prep window displays each child as part of our garden – full of growing things like plants, trees, flowers, insects, vegetables and fruit. 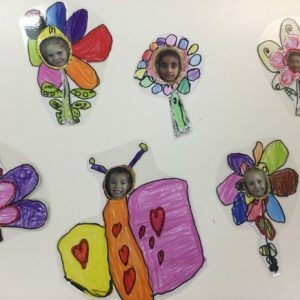 All are unique, needed for the perfect balance of a garden, and grow at different rates; just like each child grows at a different rate when they are reading, writing, engaging socially and developing emotionally. As the song says, “From little thing big things grow”. 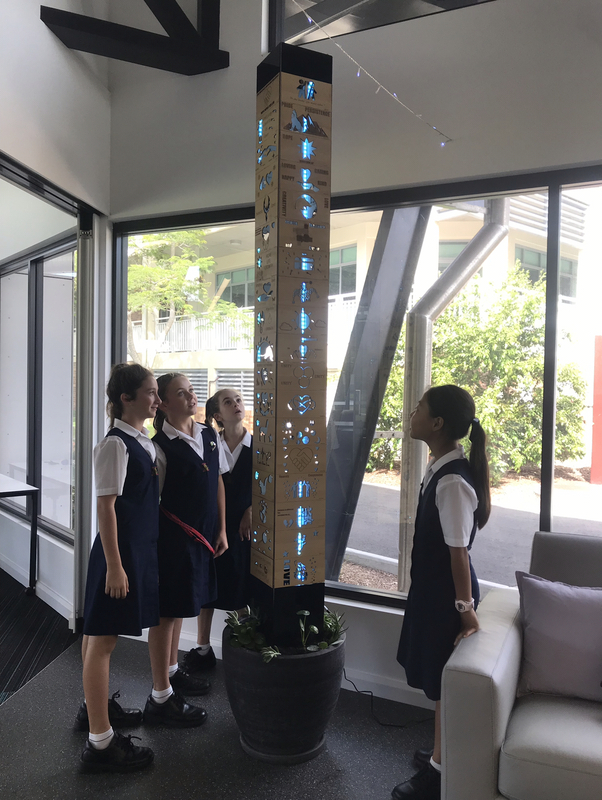 We look forward to seeing what big ideas eventuate as we continue our Prep adventure. We are grateful to parents for partnering with us this year. “Educating the mind without educating the heart is no education at all” (Aristotle). This is the Year 1 teaching and learning lens for 2019. Responsive, creative and caring environments that cater for the needs of every student have been made possible by differentiated planning and involvement in flexible spelling and mental maths groupings. 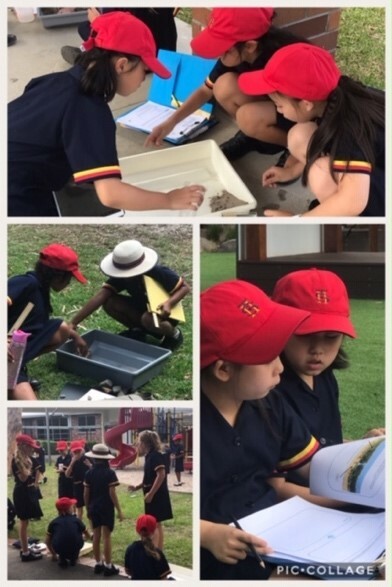 Connecting as a cohort for THRASS lessons during block literacy times and involvement in Enrichment activities has strengthened our community. 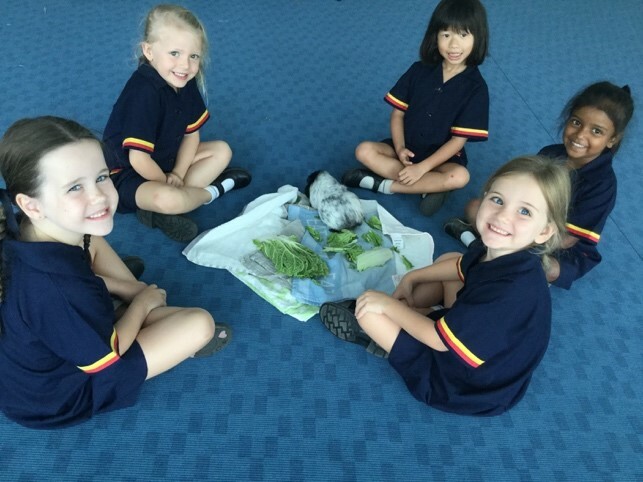 Growth through the explicit recognition of social and emotional skills is assisting to develop engaged, respectful, responsible and willing Year 1 learners. A heartfelt thank you to our Year 1 families for their support, as strong partnerships between home and school guarantee effective learning for their daughters. Flexible spelling groups: using data to inform our teaching and learning. Building community: Year 1 and Year 2. What does it mean to persevere? Year 3 have had a busy, productive and happy start to the year. There has been much learning and fun happening and we would like to share some of it with you. During our Humanities study we have made some wonderful links with our local community. We visited the Gold Coast Historical Museum in Surfers Paradise, which was a trip back in time to when the Gold Coast was a sleepy little coastal town with no highrises, no electricity and lots of hard work needed to live. We also had the pleasure of having a visit from Kyla who works at the Gold Coast Local Studies Library. 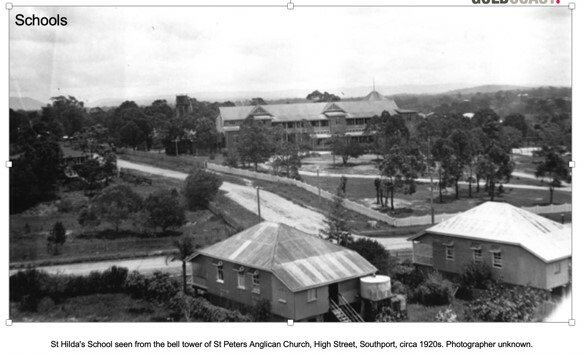 Kyla shared amazing photos of the Gold Coast in the past, including some showing St Hilda’s. We have also been doing some differentiated learning with different teachers in maths, spelling and reading. We have analysed data that shows the strengths and areas of development needed for the girls, and we are responding to this in our teaching. This has involved girls working with different staff to hone in on specific skills. This has been very useful and successful. The girls have also enjoyed getting the opportunity to work with different teachers and different friends. As well as having the girls recognise the achievements they make personally, we are also encouraging them to acknowledge the kind deeds and successes of their peers. 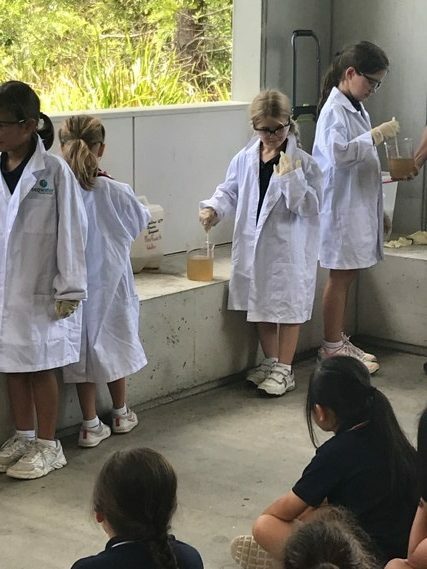 The girls are encouraged to give their peers a ‘Shout Out’. This is where they share something amazing that they have noticed their friends achieving. Reading these has certainly had the Year 3 teachers reaching for the tissues. 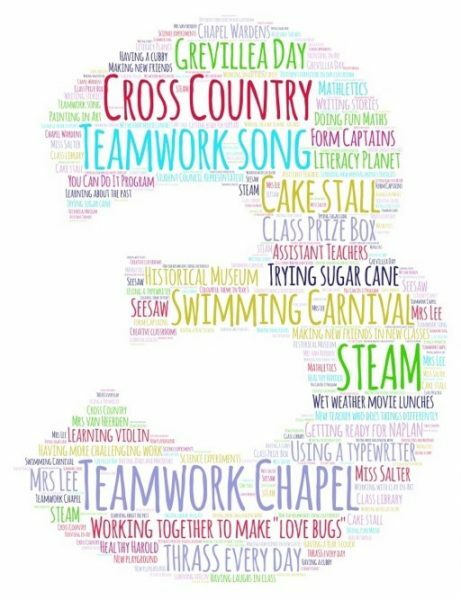 The girls in Year 3 also shared with us some of their highlights from the term that have been made into a word cloud. As you can see we have been busy! We would like to take this opportunity to thank you for all the support you have given. We truly appreciate it and we have loved working with and getting to know your girls. We would also like to take this opportunity to wish you and your families a safe and happy Easter break. We look forward to seeing you in Term 2! 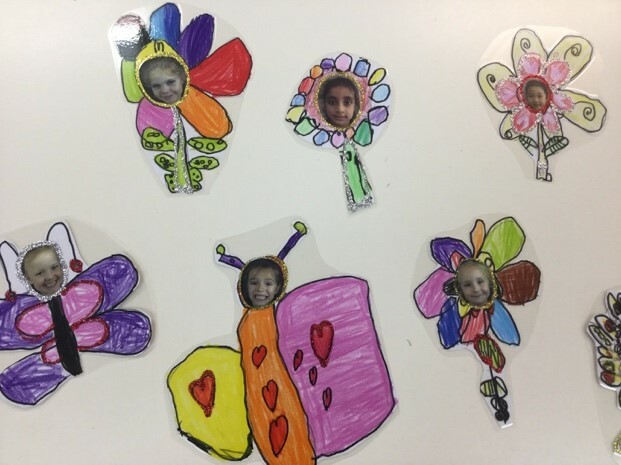 Term 1 has seen Year 4 filled with buzz and excitement as we as educators strive towards creating and implementing a curriculum that is engaging and flexible to meet the needs of all of our learners. In English, we have dived a little deeper into understanding the language features used by authors to enhance their stories for the audience and transferred this knowledge into our own traditional dreamtime stories. The creativity and improvement in paragraph structure and descriptive language has been amazing! Our flexible English groupings across the cohort have centred around spelling, targeting the needs of individuals. Reading has also seen flexible year level groupings, targeting reading fluency, a love of reading and how to develop our comprehension skills. 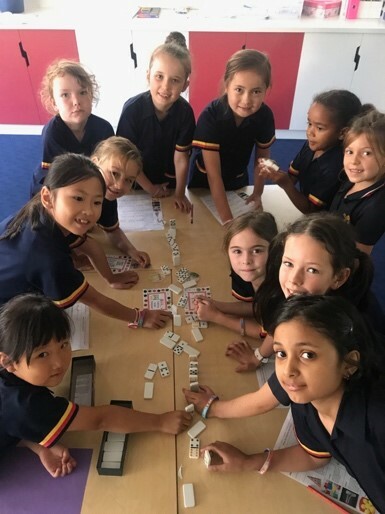 Maths has seen the introduction of ‘I do’, ‘We do’ and ‘You do’ rooms where number concepts have been introduced, enabling the girls work to their own ability to develop the skills necessary to progress to the next stage of learning and independence. The girls enjoy moving between the levels/rooms according to where they are currently at in their learning. In Science we have learnt about erosion. 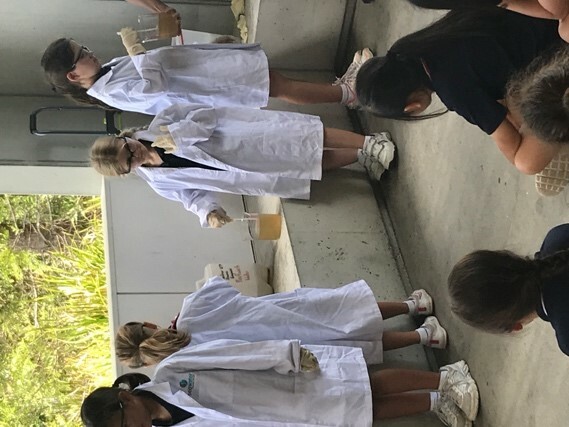 Our experiment and demonstration of understanding provided a wonderful opportunity for the girls to select their own groups and for the whole year level to engage together before reflecting on their learning independently. The girls thoroughly enjoyed this experience whilst developing skills in collaboration, co-operation and community in a fun, engaging and safe activity. Year 4 have also enjoyed learning about the southern continents of Africa and South America through mapping skills and learning about the changes in world vegetation. This has allowed girls to gain a deeper understanding of endangered animals. 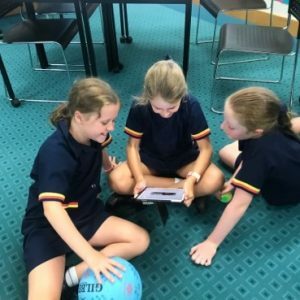 Digital technologies and the use of Wonder Dash robots has enabled girls to work in groups and learn to value teamwork while solving problems and constructing block drop and drag codes. 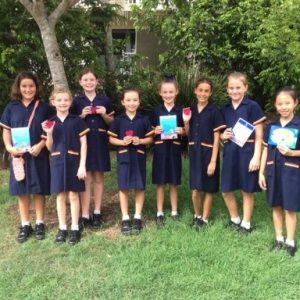 Year 4 has had a wonderful term and we look forward to Term 2 with excitement. Some of the topics that we will discover next term include plant stages, human and environmental impacts on plants, sustainability, fractions and decimals, and our novel study ‘The Twits’. The focus for Year 5 this term has been the education of the whole child. We endeavoured to ensure that students are using a growth mindset; that no matter how difficult the challenge, they work with persistence and increase their confidence levels, not only across all areas of the curriculum but also in their daily lives and relationships. At times this has been quite confronting for some students, but with continued effort and perseverance they are all rising to the challenge and growing in more ways than one. We have used our time this term to get to know the girls individually, both as learners and as people. 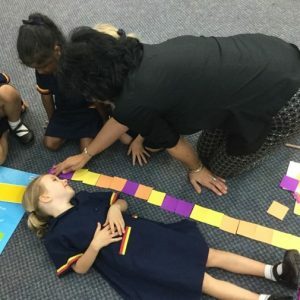 We have used a variety of techniques to differentiate learning, especially in spelling and mathematics, to ensure we are meeting the needs of our students. Our weekly cohort assembly has been an important opportunity for us to connect as a group and celebrate our achievements together. Thank you to our Year 5 families for your continued support in the education of your children. Left: Working collaboratively across the cohort to achieve a common goal in science. Right: Celebrating the growth, achievement and kindness of our students. 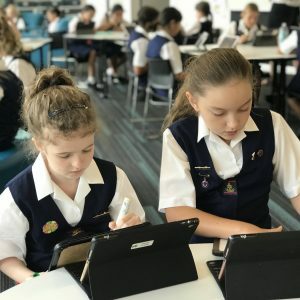 There have been some significa­­­­nt changes to the traditional model of teaching and learning in Year 6. 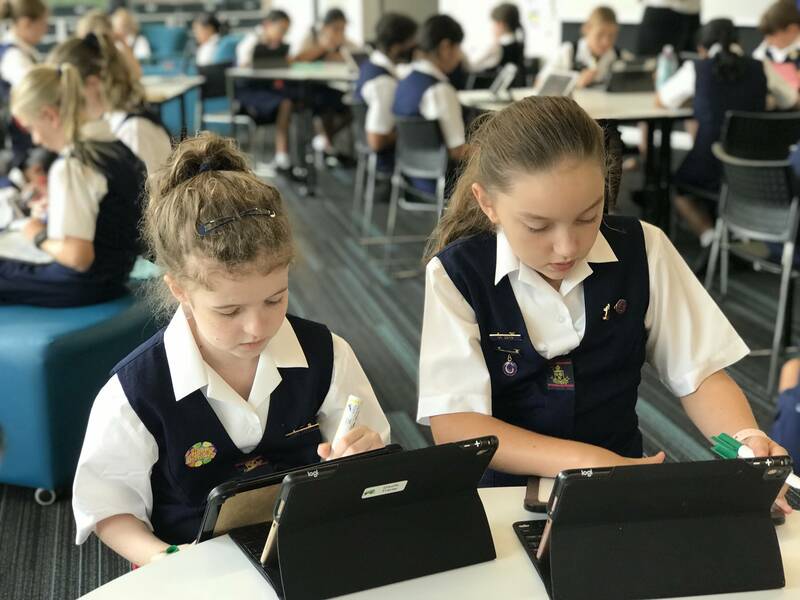 These changes are aimed at enhancing our pedagogical practices through the implementation of innovative and collaborative teaching strategies that utilise real time data to inform responsive and targeted personalised learning. 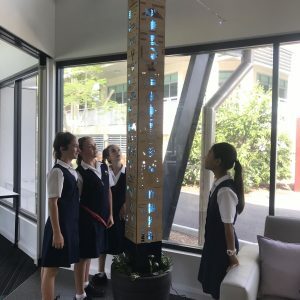 This project commenced in mid-2018, when we engaged two senior education lecturers and a research team from QUT who specialize in Innovative Pedagogy and Agile Learning Space design, to guide and support St Hilda’s students. We visited light house schools who are also implementing contemporary teaching and learning and are regarded as leaders in this field. The Year 6 team have established the transfer and creation of all cloud-based planning, curriculum and assessment documentation that all team members can view, modify and review with 24/7 access as a way of enhancing collaborative teaching. Our strategic use of diagnostic and formative data has completely transformed our teaching model as we now have a far more comprehensive understanding of student achievement which allows for real time feedback. In addition, this model of teaching and learning allows team teaching to occur cohesively in every lesson. Having three teachers, with a wide range of expertise across a number of subjects, enables for richer learning and a higher level of engagement for students on a daily basis. We have also implemented the use of Dan Buckley’s Secret Skills Framework as developed at Cambridge University as a future focused skills-based metric for student personal development.